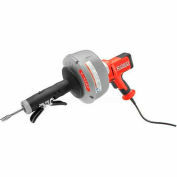 Ridgid Model No. 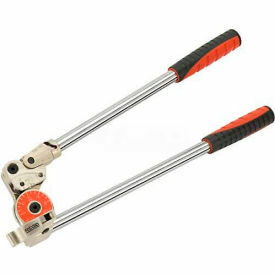 610M 600 Series Instrument Tubing Bender, 10mm Capacity, 24mm Bend RadiusThe RIDGID 600 Series Lever Benders are specially designed for bending hard tubing such as stainleSS steel, steel and titanium. 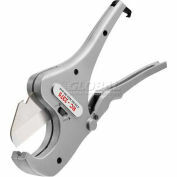 A simple two-stage handle design easily switches to bend up to 180°, keeping bends in-plane and accurate. Features In-Plane: Two-stage design allows bends from 90° to 180° without ever croSSing handles; lock/unlock with a half-turn rotation of the bending handle. 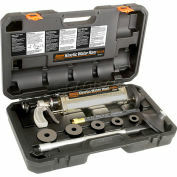 Accurate: Roll dies in bending carriage reduce tube flattening (ovality). Gain marks on front of form ensure properly aligned bending angles. 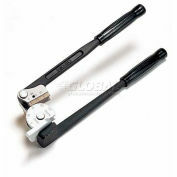 Reduced Force: Extra-long handles for increased leverage; vise clamp block for extra stability. Ergonomic: Cushioned handle grips for improved bending ease.